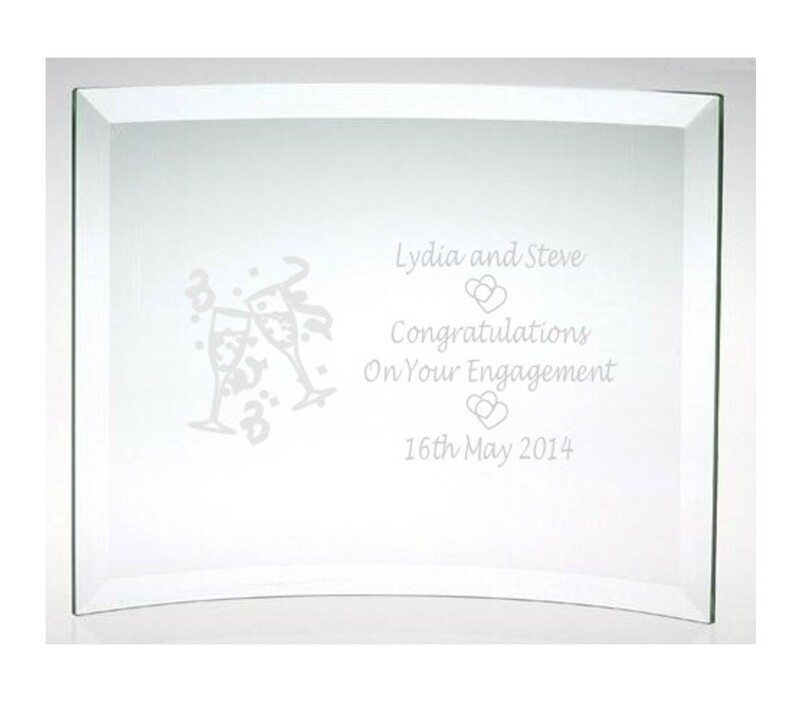 Engraved Congratulations On Your Engagement Glass Plaque. Comes with the pre-set text in the middle that states 'Congratulations On Your Engagement and the beautiful glasses and entwined hearts images. All you need to supply in the names and date of the engagement. Please supply us with your personalised text by entering it in the Customisation box below.